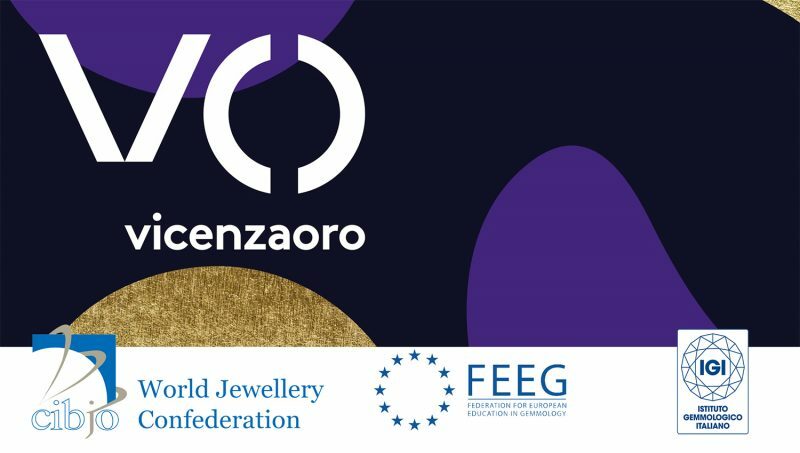 CIBJO, the World Jewellery Confederation, and the Federation for European Education (FEEG) in Gemmology, will be presenting a day-long conference at the VICENZAORO January jewellery trade show, organised by the Italian Exhibition Group (IEG), in Vicenza on Saturday, January 19, where the principle focus will be on issues related to responsible sourcing and gemmology. For CIBJO, the event is the latest in a series of seminars and workshops presented at VICENZAORO shows, in cooperation with IEG, focusing on issues relating to responsible business practices and sustainability in the jewellery sector. For FEEG, which was established in 1995 to create a pan-European gemmology qualification that is recognised by all bodies and institutions across the EU, the conference serves as its 21st Symposium, bringing together leading gemmological experts from across the continent and around the world. It is being hosted in Vicenza by the Italian Gemmological Institute (IGI). Beginning at 10:00 AM in Hall 7.1 -TIZIANO Room of the Vicenza Expo Centre, the morning session of the conference will focus first on responsible sourcing practices, and feature a presentation of CIBJO’s newly approved Responsible Sourcing Book, which provides a framework and guidance for due diligence related to the responsible sourcing of gemstones and precious metals in the jewellery sector. Also in the spotlight during the morning session will be precious coral, both from the gemmological perspective and from the perspective of sustainability, as will be Blockchain technology, which will be looked at generally and more specifically from the standpoint of the precious coral sector. The morning session will be moderated by Gaetano Cavalieri, President of CIBJO. The Afternoon Session of the conference will begin at 2:00 PM in the same venue, and look at a variety of topics, including marketing and strategies in the coloured gemstones sector, the legacy and gemmology of natural pearls, new laboratory technologies, the classification and identification of jade, and the gemmology and geology of diamonds. It will be moderated by Paolo Valentini, IGI Vice President. The proceedings will conclude with the annual FEEG diploma award ceremony, starting at 4:30 PM. The day’s events will be conducted in English and Italian, with simultaneous translation into both languages available at all times. Registration at the conference venue will begin at 9:30 AM.